Apple Dumplings is a treat worth enjoying! With apples coming into harvest in the Fall, this is a must make for my family. 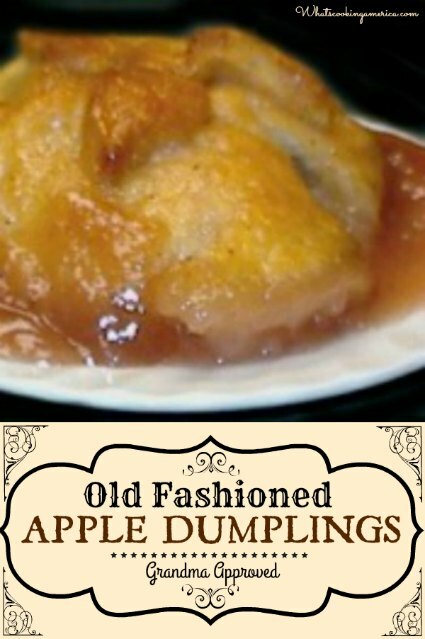 When I was young (and that was a few years ago), Apples Dumplings were a favorite treat for our family. We would make a whole meal of just these delicious dumplings. Thet are not difficult to make, just a little time-consuming. You could serve the warm with whipped cream or ice cream. My mother, Dorothy Hagerman, used to make these fantastic dumplings for our family, so I am sharing her recipe. My father loved these dumplings and always wanted Mom to make more the next time! More great Apple Recipes. Also learn about the History and Legends of Apples. Preheat oven to 425 degrees F. Peel, core, and cut apples in half, set aside. In a small bowl, combine sugar and cinnamon; set aside. Prepare Syrup: Keep the prepared syrup warm until ready to use. Prepare Party Pastry: In the center of each pastry square, place an apple half and sprinkle a little of the sugar/cinnamon mixture over the top of the apple. Moisten the points of each pastry square, bring opposite points over the apple halves (overlapping points), and seal well. Place each dumpling about 2-inches apart in an 8- by 12-inch baking dish. Pour prepared hot syrup around the dumplings, and bake approximately 30 minutes. Remove from oven and, using a spatula, quickly life each dumplings into individual serving bowls. Serve with warm cream, if desired. In a large saucepan over medium-high heat, combine sugar, corn syrup, butter, cinnamon, and water. Bring to a boil and let boil for 3 minutes. Remove from heat and keep warm until ready to use. Sift together flour and salt. Cut in the shortening with a pastry blender or two (2) knives. First cutting in 1/2 of the shortening until mixture looks like "meal," then cutting in the remaining shortening until particles are the size of giant peas. 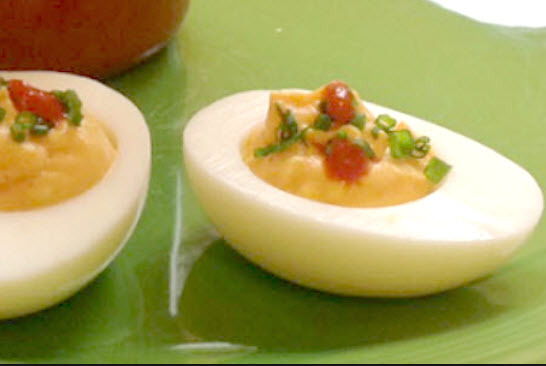 In a small bowl, mix together egg yolk, water, and lemon juice. Sprinkle over the flour/shortening mixture. Mix in with a fork until dough stays together. Gather dough up into a large ball (if desired, divide dough into 2 or 3 parts to make it easier to handle.) Roll dough 1/8-inch thick on a lightly floured boards. Cut into six (6-inch) pastry squares.